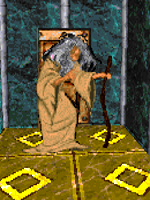 In 3E 402, the Oracle was the Chief Counselor of the advisers to King Camaron of Sentinel when a land dispute with Daggerfall began brewing into the War of Betony. The Oracle counseled the king against war, foreseeing death and defeat, but was rebuffed and banished from the court. Sentinel lost the war and Camaron was killed. The Oracle was on good terms with Sentinel during the reign of Queen Akorithi. During this period, she foresaw an attempt on the life of an uncooperative noble, whose death would cause havoc in the region. 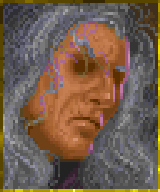 Upon the recommendation of the Archmagister of the Mages Guild, the Oracle (via her Acolyte) secured the services of an agent of the Blades, though it is not known how this adventure ended.